My name is Ed Smith and I’m a Sacramento Premises Liability Attorney. Every year, Americans spend over $60 billion on their domestic pets. In fact, nearly three-fourths of us keep dogs, cats or other small pets at home. While we usually have direct control over their health, the same cannot be said about the many animals often put on display in our communities. Always take precautions so that educational opportunities extended to your children at petting zoos, state fair livestock shows – or local pet stores -- won’t turn into high-risk encounters that will allow serious or life-threatening germs or diseases to be transmitted to them. Infected cattle, pigs, chickens, goats, rabbits, birds, sheep and other animals can pass serious germs to people who come in direct contact with their skin, hair, feces, open sores, saliva, and non-pasteurized byproducts. These bacteria, viruses, and parasites are often labeled zoonotic diseases – those that can be spread from animals to humans (and from humans to animals). Here’s some additional information about some of these germs and diseases, followed by general safety guidelines for interacting with less common animals. While children and elderly people with compromised immune systems are the ones most likely to catch certain germs from unusual animals – all adults are still at risk of catching some deadly diseases. Pregnant women, in particular, should also exercise extra caution and avoid all unnecessary contact. Humans can pick up germs or infections such as the E.coli bacteria, anthrax, rabies, tuberculosis, brucellosis, Q fever, ringworm, listeriosis, and salmonellosis (among others) from farm animals. There are well-documented cases of children simply petting cows and then developing hemolytic uremic syndrome – a condition that can cause both critical and permanent kidney damage. Many animals can pass harmful E. coli bacteria to humans – including sheep, goats, backyard poultry, and others. Pigs. Infected pigs can sometimes transmit various types of swine flu to humans, as well as germs like salmonella, toxoplasmosis, and campylobacter. Careful personal hygiene habits like using gloves can often prevent many germ transfers. Like sheep, horses, pigs, and cows; goats can also infect humans with the bacterial disease leptospirosis. It is usually transmitted when a person touches a goat’s urine or other body fluids. Q fever is another type of disease people can contract when interacting with goats, as well as sheep and cattle. Donkeys can pass on various skin diseases due to ticks on their bodies. Along with cattle and goats, these animals can pass tuberculosis to humans. People tend to pick up “TB” most often when they eat undercooked meat. If infected, horses can transmit salmonellosis and ringworm to people. Ticks on a horse can also transmit ehrlichiosis (which causes flu-like symptoms) and other germs to humans. (This list isn’t intended to be fully comprehensive – it simply provides examples of the many germs and diseases that can be transmitted from animals to humans). Wear covered shoes and long-sleeve shirts (slacks are also preferable). It’s important to minimize areas of your body that are exposed to animal saliva, hair, waste products, and any ground cover that could contain infected materials. Put away and close all food containers. Never walk around of farm or other unusual animals with open food or drink containers because of the increased risk of contamination. It is best to keep these items in a safe place and stop somewhere and fully wash your hands before eating anything. Always inquire in advance as to whether there will be adequate places to wash your hands when choosing an animal exhibit or petting zoo. Give thought to the safest way to feed the animals. If you’re determined to feed one, consider carefully placing food down in front of it and not trying to place the food directing into the animal’s mouth. Never accept either raw (unpasteurized) food or beverages just produced by any live animal on exhibit or in a petting zoo. Remember to put away personal food and never try to share any of it with the animals. 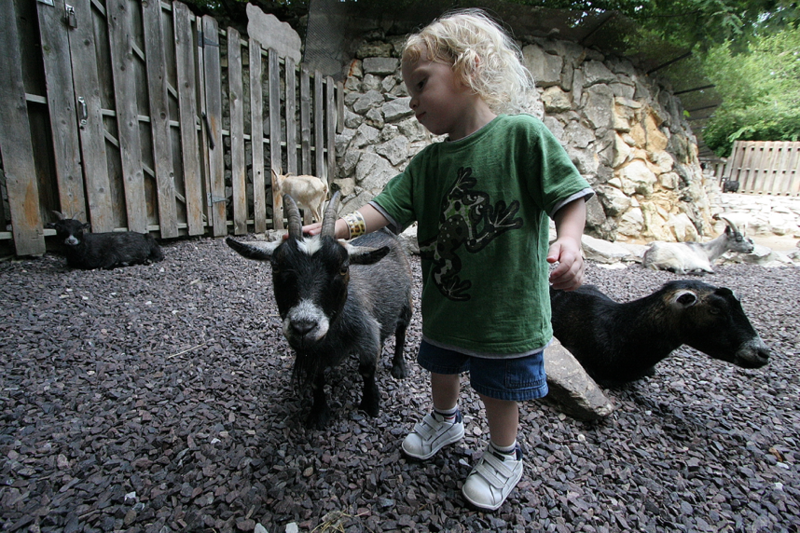 Always carefully supervise your small children who are visiting animals. The Centers for Disease Control & Prevention (CDC) website advises parents and adults to warn kids ahead of time to never try to put their fingers or thumbs in an animals’ mouth. Younger children regularly place their own fingers in their mouths quite often, so keeping those body parts clean can help them avoid picking up serious germs and infections. Never take children’s pacifiers, strollers, cups or toys into areas near animals. They will almost certainly become contaminated and be hard to properly clean later. Keep in mind that many sick animals may look healthy. Just looking at the animals can be a good learning experience – you don’t need to touch the animals to enjoy seeing them. Hand sanitizers are not a good substitute for washing your hands. While you may choose to use these, it’s far better to only visit animals near full-service restrooms where you and your children can wash your hands with soap before heading home. Hand sanitizers should only be viewed as secondary clean-up materials. Always tell your children that when they visit the homes of other kids when you’re not present, they should avoid touching or petting any animals, especially those that aren’t dogs and cats that regularly live indoors. Too many people allow kids to adopt small animals and then fail to keep them fully vaccinated and in good health. 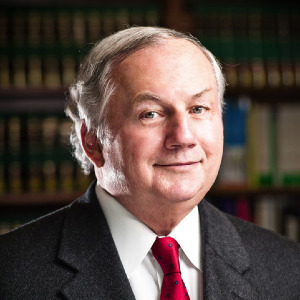 I’m Ed Smith, a Sacramento Premises Liability Lawyer. If you or your child have been seriously injured by an animal while visiting any petting zoo or other public places where animals are on display, be sure to contact my office right away. Call me at 916.921.6400 for free and friendly advice with no obligation, or contact me online here. If the facts of your case support it, my office can file a lawsuit on your behalf to seek compensation for all your pain and suffering, medical expenses, lost earnings, and other expenses. I am a member of the Million Dollar Advocates Forum. Please take a minute to read some of my settlements and verdicts here. Additional helpful ratings and reviews written by my clients can be found on Avvo, Yelp, and Google.